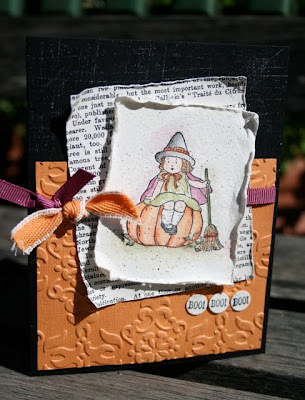 I made this card the other day when I still had supplies out from the Color Throwdown challenge (scroll down a bit to see that card). I embossed the Melon Mambo card panel with the Northern Flurry folder and added my focal circle panel. What you can't see are my "mechanics." I trimmed the circle with the clear tinsel and layered another circle behind it to cover up all the glue and stuff. You can't really see it, but it is like finishing the inside of a garment. It needs to be tidy. The great thing about 3" gift cards is they are both quick and full of impact. It doesn't take a long time or a bunch of stuff to fill up this size card. 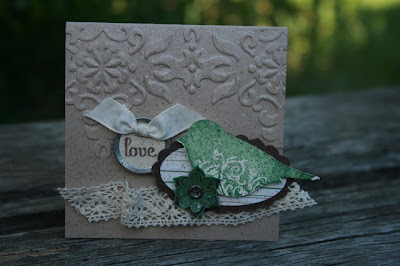 For this little cutie I used the Woodland Walk dsp as my color motivator (if you check the oval punch behind the bird you will see a tiny piece of that dsp). I used the Punch Potpourri stamp set and the coordinating punches for the bird and flower detail. This is a hostess level one set and it is super cool. 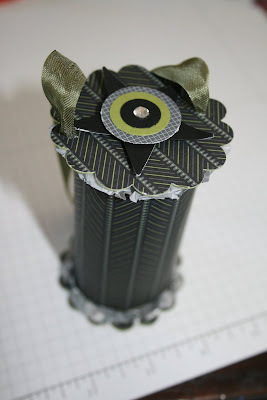 I also used a tiny tag and a scrap of crochet ribbon. 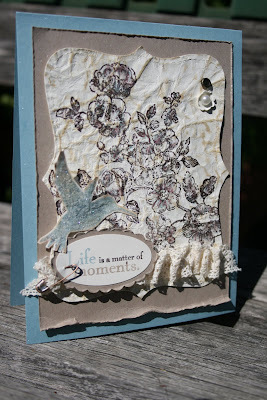 For the background I used the Vintage Wallpaper embossing folder and then I spritzed a heavy coat of shimmer paint. The last touch I included was the Inkworks Air Gun to add espresso and green marker splatters. Today's post features another CASE of Brent Steel. 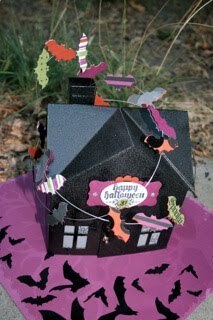 His brillance brought to life this fabulous haunted house at Stampin' Up!s convention this past summer. This house is quite simple to put together and makes a great centerpiece for a party. 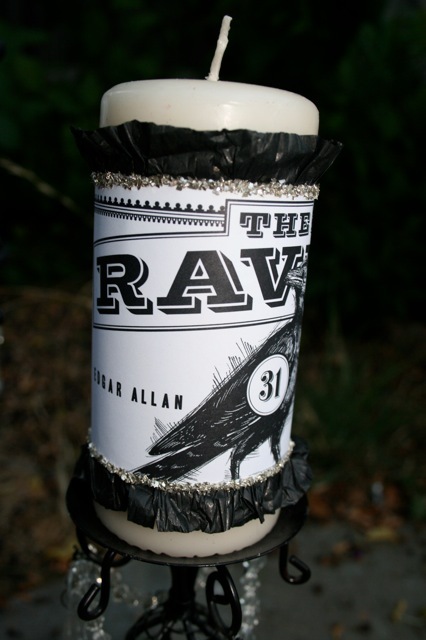 The coolest thing is that you set a battery operated candle inside to make the windows flicker and glow. We are making these tonight at my Monster Mash Madness. 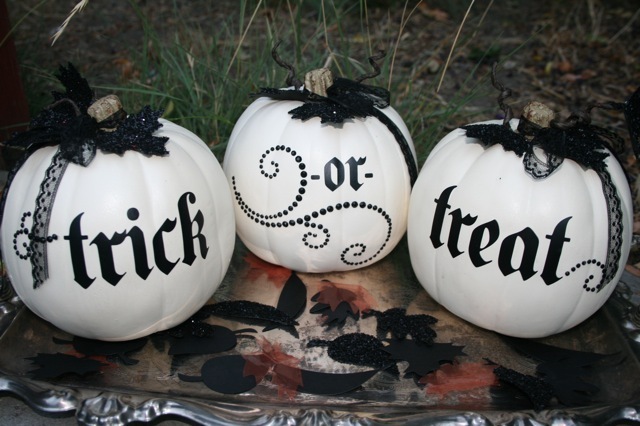 We are also making white pumpkins, ornaments, and treat holders. Best of all were are eatin' some yummy munchies. On the menu for tonight is guacamoldy, salsa freskill, pumpkin cookies (my all time favorite), and peanut butter bombs. I combined two challenges for myself and found it was not very easy to finish this card. In the end I enjoyed stretching myself for this challenge. 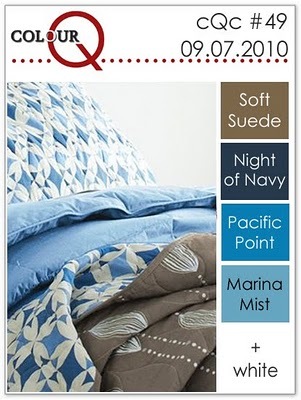 This was tricky because first of all one of my least favorite colors is Pacific Point. However, the dsp in that color is softer which makes the hue workable for me. 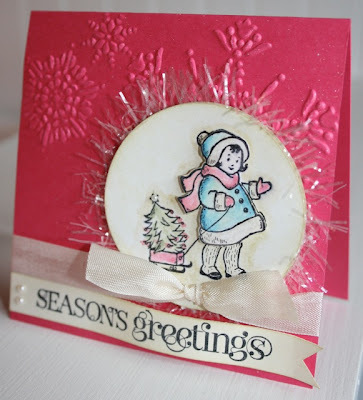 I combined the Sweet Sunday Sketch and the Color Throwdown challenges to create this card and let me just say in person this is snowy and it sparkles and is very sweet. 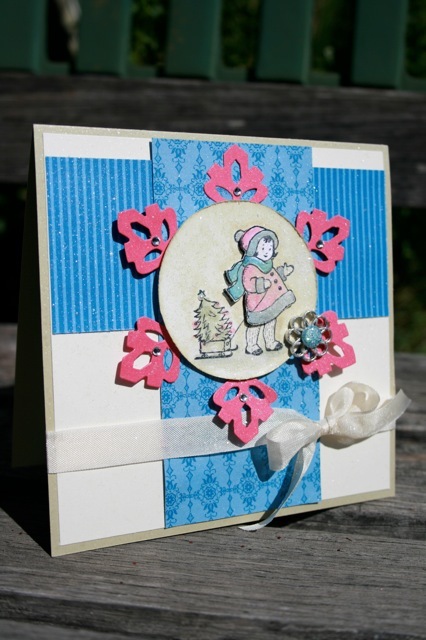 This card measures 5.5" square and features the Greeting Card Kids stamp set from Stampin' Up!. 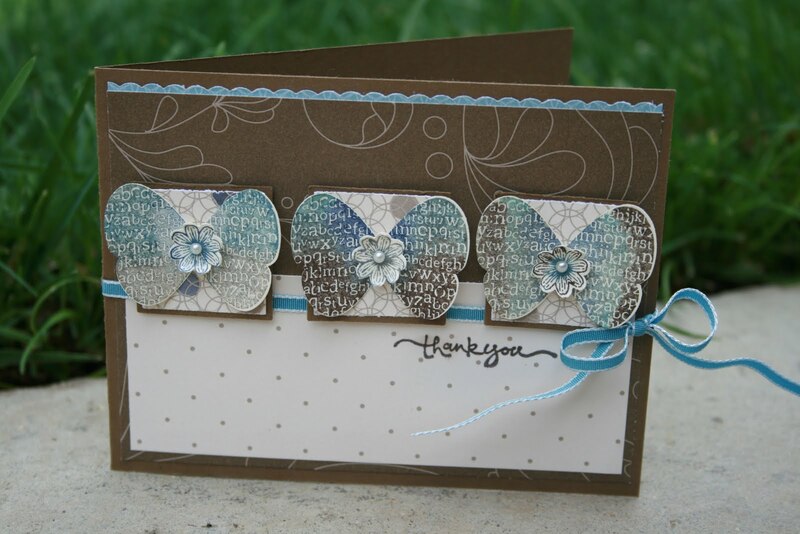 I added a blue glimmer brad from the Subtles pack and the Vanilla Seam Binding to accessorize the card. Lately it seems as if I have finished all my Christmas cards with a mist of Aqua Net hairspray and Dazzling Diamonds glitter. Why? Because it just makes me happy. But, I can't stop there. 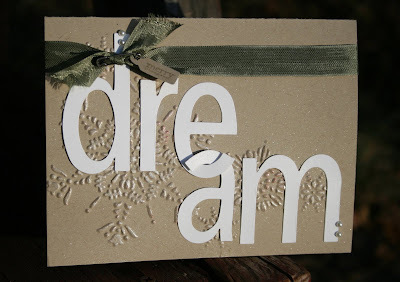 I even spritz Smooch Paint mixed with rubbing alcohol--again I like it and there isn't any such thing as the card police who come in and arrest you for being too over the top with glitter. 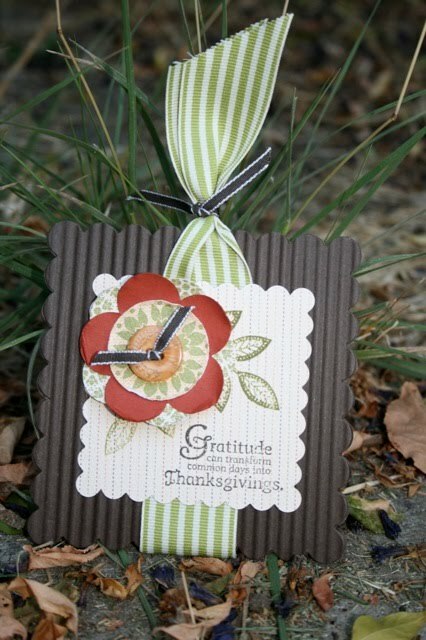 From the picture it is hard to tell, but this fall creation is a mini pouch. 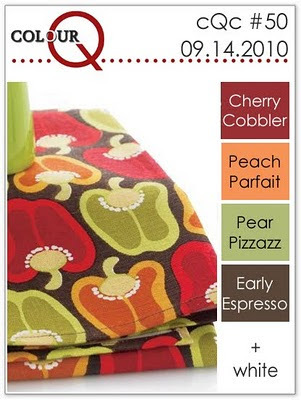 It is perfect for a spice cookie or another yummy treat. From the Scallop Squares Duo die I cut two of the larger pieces and glued the sides and bottom together to form the pouch. What is really cool is the Autumn Spice dsp is textured heavy weight cardstock. 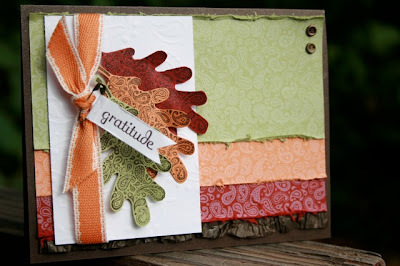 I used the Day of Gratitude stamp set and the Extra Large Fancy Flower punch for the focal panel. Every now and then I like to do a cool paint technique on a card or whatever. Take a look at the focal point of the card and check out the easy paint job. 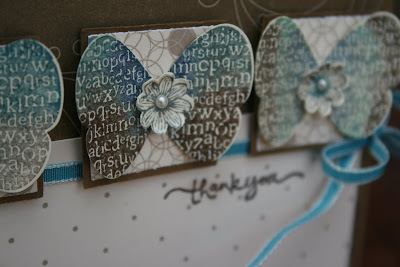 Just get a portion of your stamped cardstock piece wet with water and then add ink and let the color "wick" to spread. For this piece I used an Aqua Painter that I grabbed ink from the lid of an ink pad. For more intense color use straight ink refill. Try it, it's super cool. If you know me you know I love everything Halloween. So, how could I pass up the Pals Paper Arts challenge for this week. 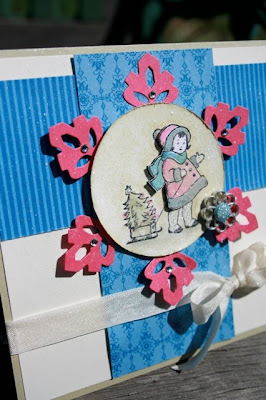 For this card I have used products from the "London 1800s Suite" in the Holiday Mini Catalog with the Wicked Fun paper from the Idea Book and Catalog. Look close and you will see the Spider Web folder was used on the bottom right corner and then I gave it a quick sand to reveal the inner white of the dsp. 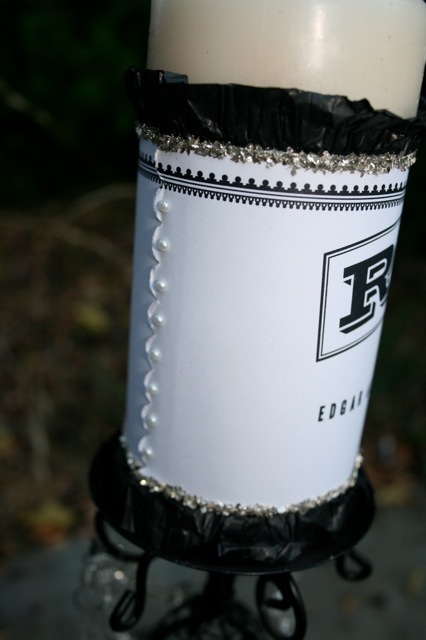 The two perfect finishing touches are the Raven 1/2" Lace Trim and the rhinestones. This is another card I made which I totally cased from Stampin' Up! Co-Founder, Shelli Gardner. She presented something very similar to this at convention. 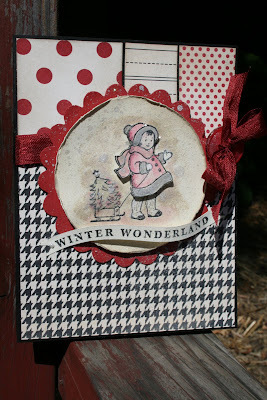 I loved how she used the new fabric, which is a perfect match to the Candy Cane dsp in the Holiday Mini Catalog, and the Style Beautiful stamp set. 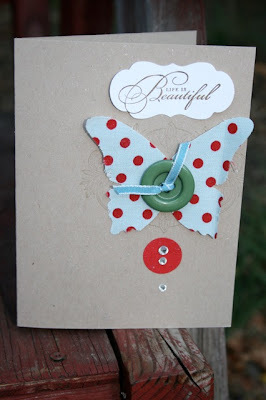 Look close and you will see a gorgeous stamp from that set behind the butterfly. If that is a set you have had your eye on, I big time recommend it. I can't say it enough, but I really like the look of the Greeting Card Kids stamp set from Stampin' Up! 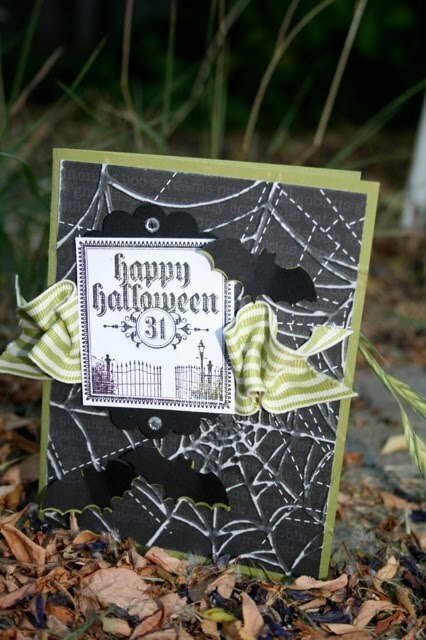 The Halloween and Christmas pieces are my favorites. This is a card we made at my last Technique Time stamp class. Everyone got to have some fun using markers and Aquapainters to watercolor their witch on a pumpkin. We also used the Inkworks Art Air gun to add the speckles and touches of Smooch Pearlized Accent Ink. For this card I thought I would pull out my Paisley Print stamp set and the coordinating wheel. 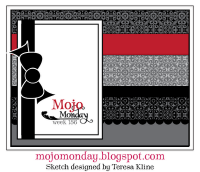 My color combo is straight from the Colour Q challenge and the layout is based on the Mojo Monday sketch. I used the edge of my paper snips to rough up the edges of my background strips and then finished the bottom with crunched up waffle paper which reminded me of crispy fall leaves. If you look real close you will see that I used the paisley texture plate on my white panel to tie all the pieces together. Using the Colour Q and the Sweet Sunday Sketch challenges I put together this very dimensional thank you note. I made it with my friend Elisabeth in mind. She brought over the best homemade salsa the other day. She used her own garden tomatoes, peppers, and corn. And let me tell you it is yummy. Going back to my card. Did you notice it is upside down? Not intentionally, but I glued my first panel down and then realized I glued it backwards which made my card open on the left. So, to fix it I just flipped it 180 degrees. 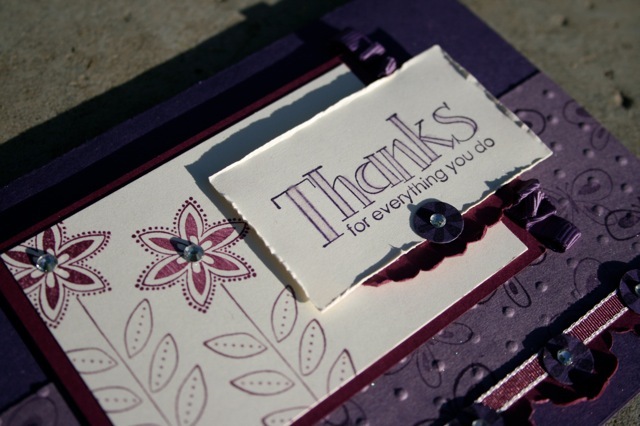 In person the card is about 3/4" thick with all the dimensionals, but I love it that way. I say, "bring on the lifty uppy things and keep them coming." The flat solid stamp in the Distressing Kit from Stampin' Up! 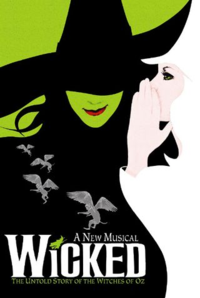 is a wonderful thing. Here is how you can make your own old and worn out paper. 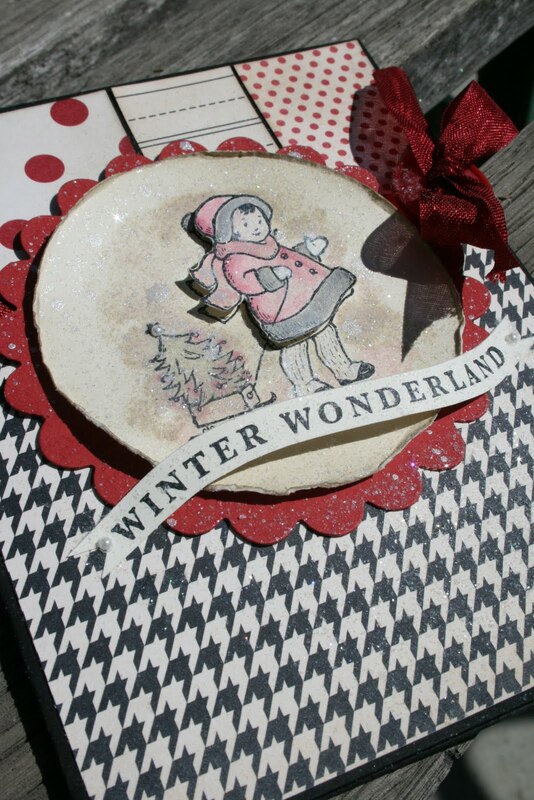 With a spritz bottle or an Aqua Painter wet a piece of cardstock with water. 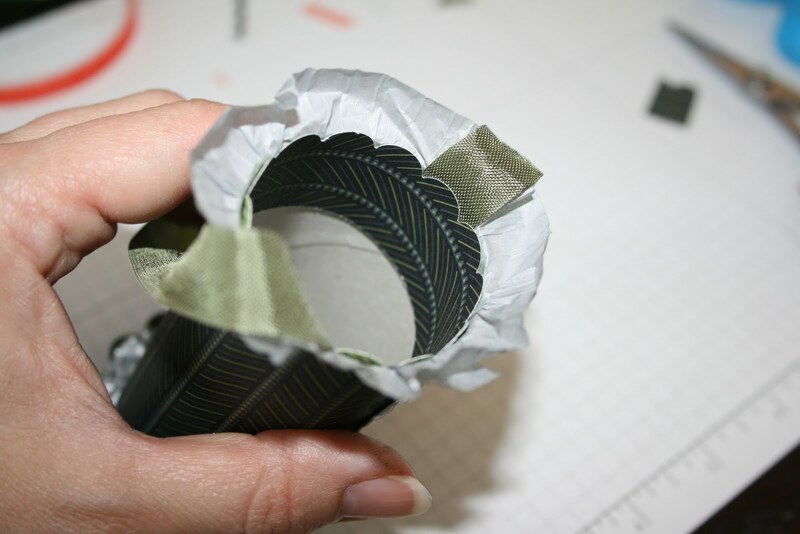 Crumple the wet paper into a wad and then open flat. Using a solid stamp ink up with a dye based ink. 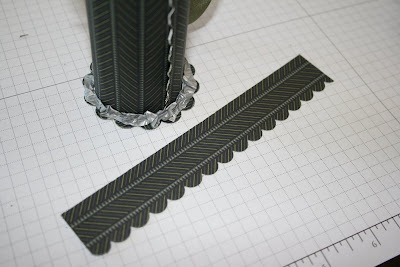 In a swirl motion rub the solid stamp onto the paper. Repeat until desired coverage is achieved. Spritz again with water and rub stamp to further blend the ink. Iron or dry with a heat tool. Are these fun, fabulous, and festive or what? Thanks to the amazing Brent Steel for the Convention inspiration. He shared a trio of white pumpkins during his presentation that BIG TIME caught my eye. I have made a set which are similar to Brent's yet with a few tweaks. 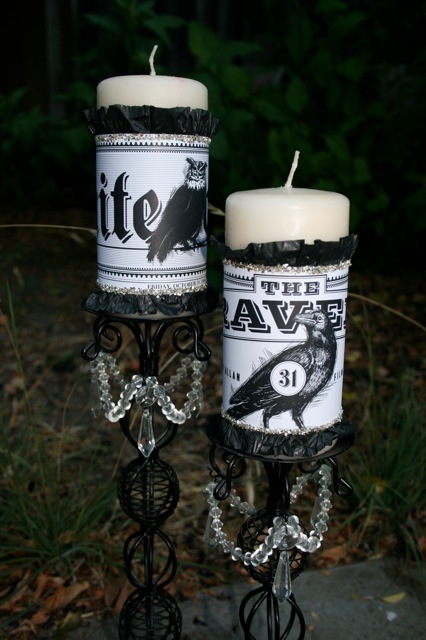 These beauties will be one of the classes I will be offering at my Monster Mash Madness which is set for Friday night, September 24th. 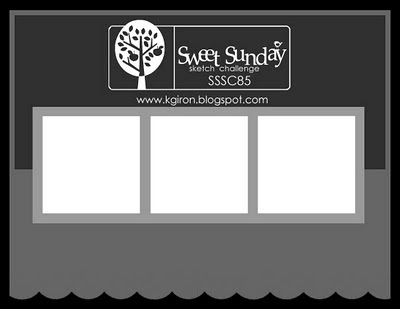 See the sidebar for more class info. This card is super cool and easy to do. Just glue a piece of DSP to your card front, run that through an embossing folder, and then gently sand with a sanding block. 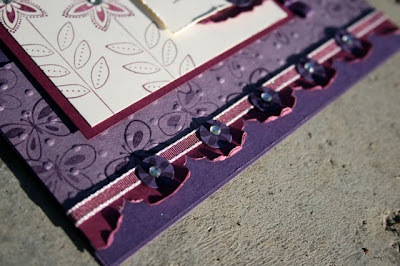 Yes, it has been done before, but having it glued to the front first then carries the debossed image to the inside of the card. Trust me it's a nice touch. 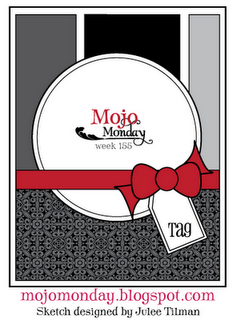 Using the Mojo Monday sketch I created this card with my Greeting Card Kids stamp set. 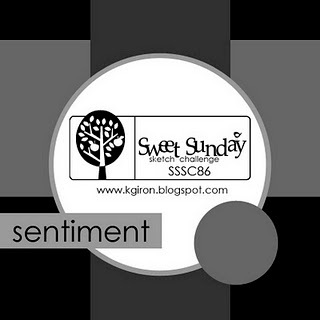 I am really drawn to the vintage feel of the design of this stamp set. 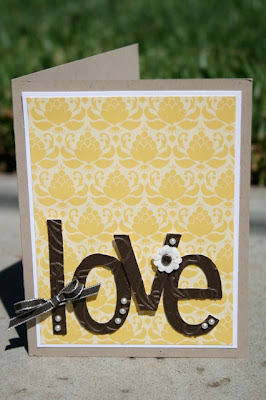 For this card I combined it with the Love Letters dsp. 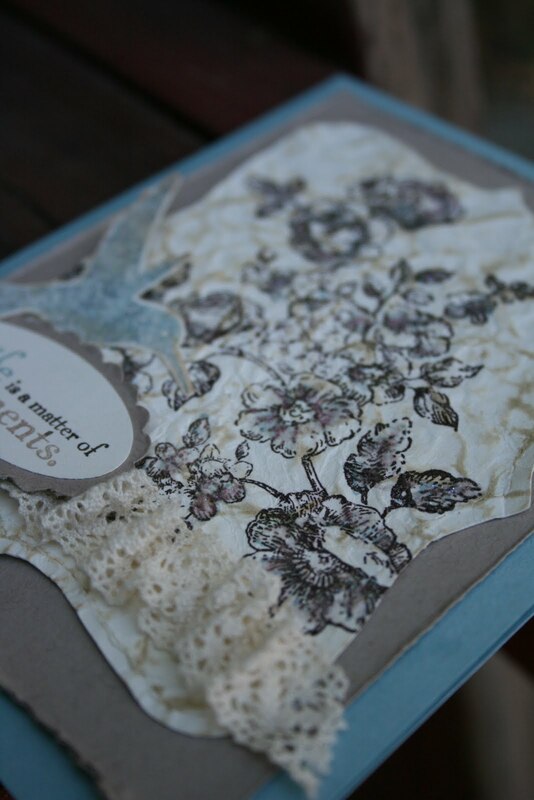 I don't think I could recreate exactly how I watercolored the card because I just kept adding. 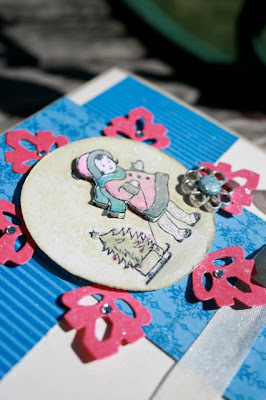 I did finish up with Smooch Spritz which at first I thought I ruined the card and then it grew on me. 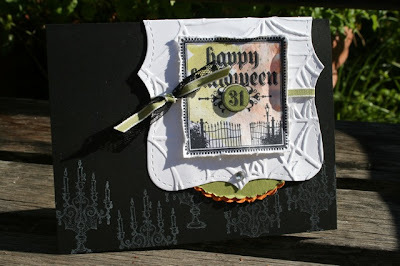 For my classes this week we will be watercoloring using the Halloween stamp from this set. 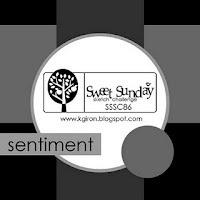 It is a cute card so come and join in the fun. 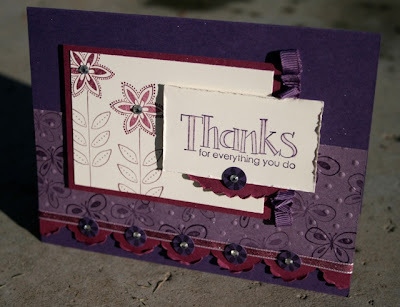 I love working with analogous color combos and plum purples are some of my favorite colors. 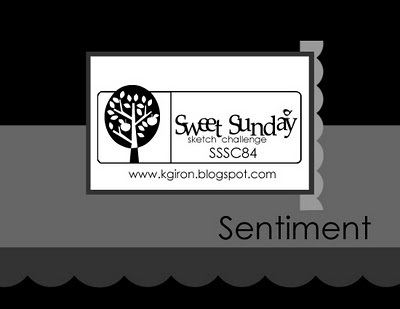 For this card I used the Sweet Sunday Sketch Challenge for my layout. I also challenged myself and didn't use any designer series paper. 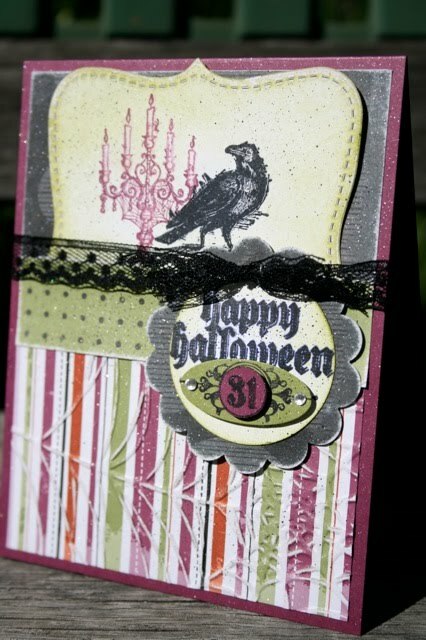 I busted out a new stamp set and created with the For Everything set. 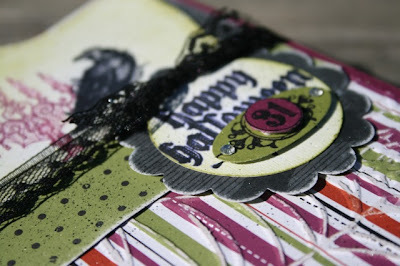 If you look close I stamped with classic inks and blended/smudged them with Smooch Paint. The photo I have included today is of a small wedding we did last fall. 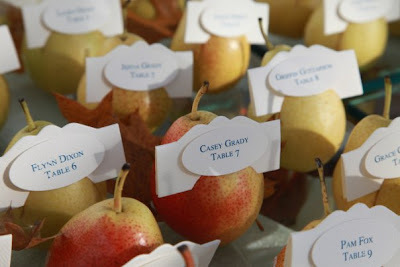 I used the Table Setting XL Bigz die and the small oval punch to create these simple placecards. We sliced the small red pears to display each card. Super simple yet super sophisticated. I will be doing something similar to this for 130 of the 656 placecards for Oct. 2nd. 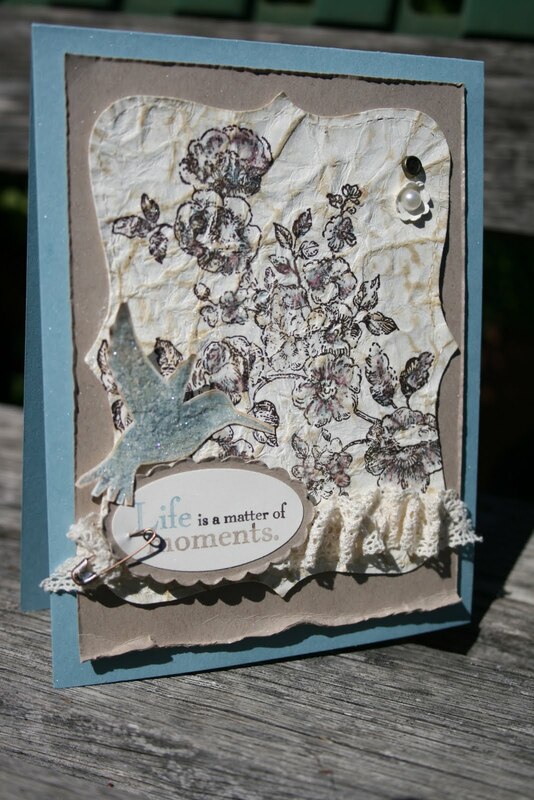 Inspired by the Pals Paper Arts challenge, I created another card using text as my focal point. 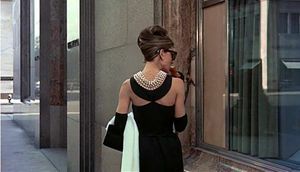 Audry Hepburn had such great style. She never was over dressed with too many accessories. 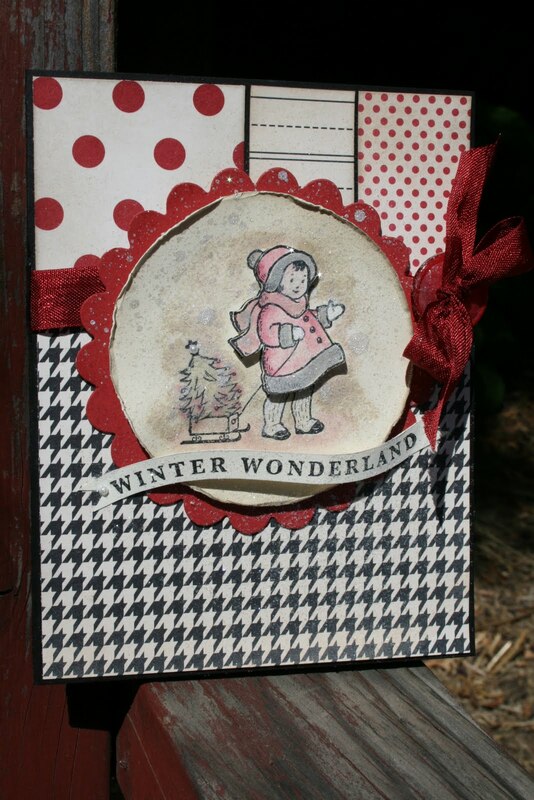 For my unconventional Christmas card I kept the details simple and sleek. Tell me what you think. It is so much easier to photo the steps of a project than it is to write a whole bunch of words down. 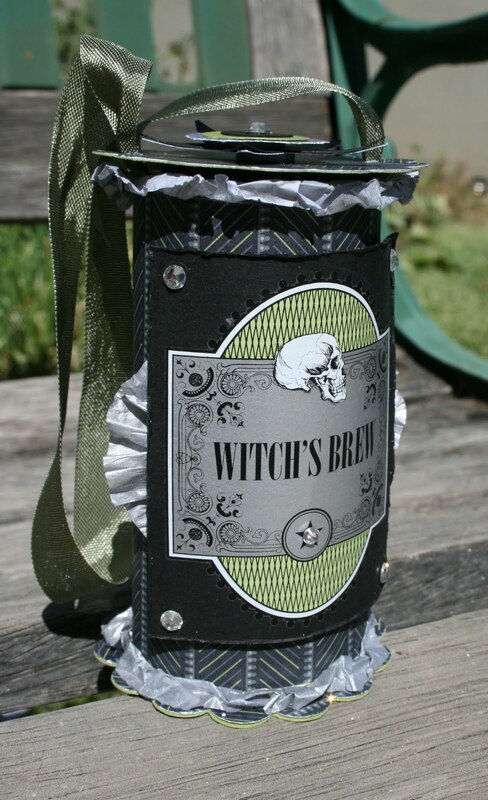 So, I will give just a few details here and there and I think you will get the idea of how I made my TP Trick or Treat Tubes. 1. 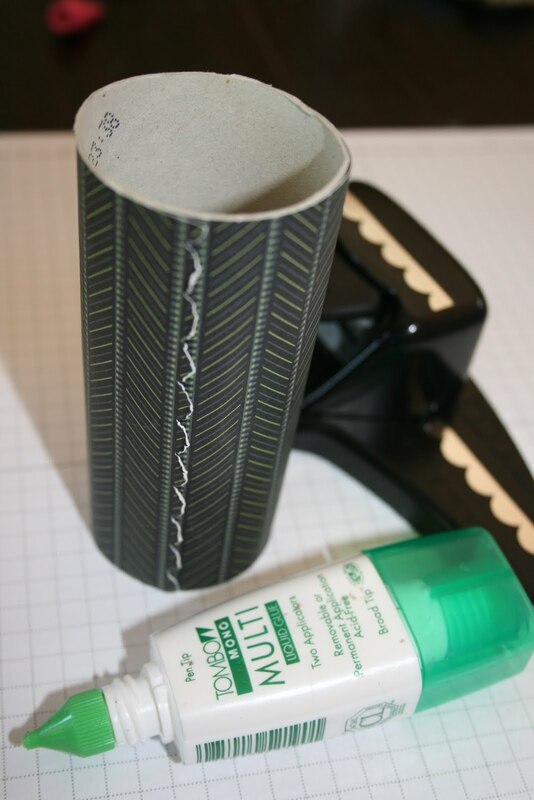 Cut dsp 4.5" x 6" (Cottonelle tubes are only 4"), punch short edge with a scallop boarder punch and then adhere to tp tube. 2. 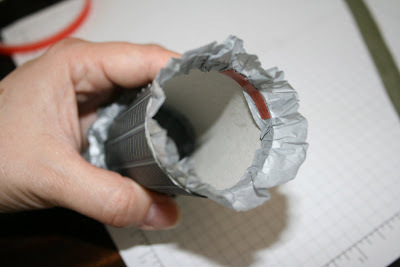 Cut strips of waffle paper and the ruffle and glue into each end of the tube. 3. Punch four 2 3/8" scallop circles; two from dsp and two from cardstock. 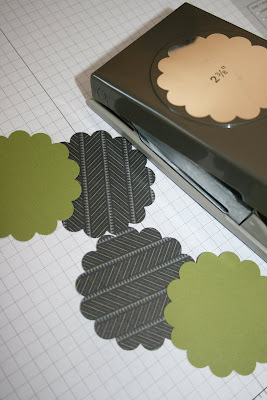 Glue a scallop from dsp to a cardstock piece and repeat. 4. Glue one of the layered scallops to the bottom of the tube being sure to flair the waffle paper to the outside. 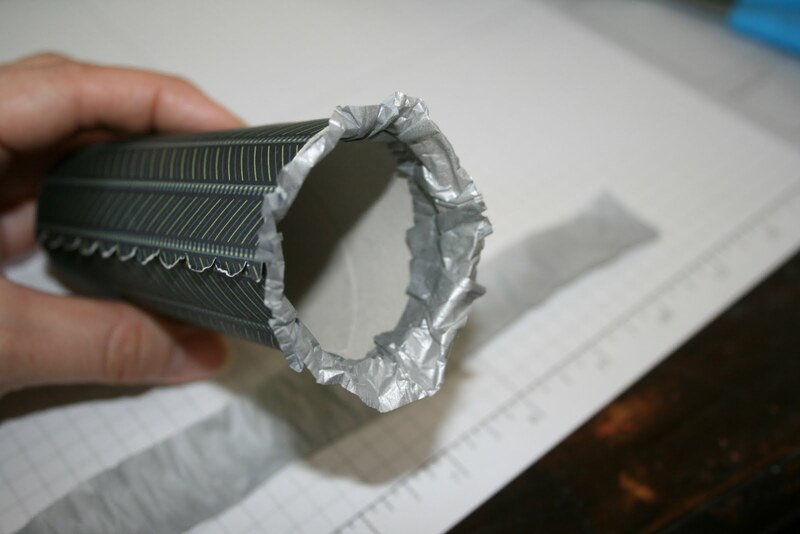 For the top, add two pieces of sticky strip to the upper inside edge on opposite sides. 5. 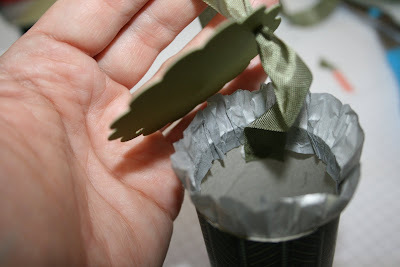 Attach a 6" piece of ribbon to the inside edge of the top using Sticky Strip. 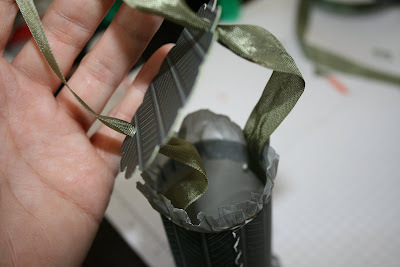 Punch two small holes in the second layered scallop and thread onto the ribbon, running the ribbon up and then back down and through so you can attach the opposite end of the ribbon to the inner edge of the top. 6. Cut a strip of dsp 1" x 5.5" and scallop boarder punch the long edge. 8. 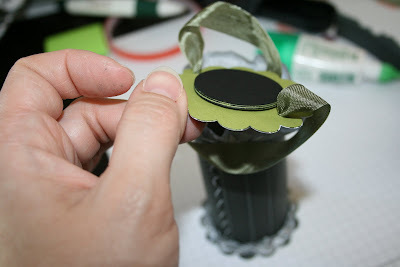 Punch six 1 3/8" circles and layer them with glue to create a weight and stability layer for the inside of the scallop lid. 10. Have fun decorating the front.